Monitoring and managing your cholesterol is an important part of maintaining your overall health. According to the American Heart Association, a low-cholesterol diet can reduce the risk of heart disease and a number of potentially serious health conditions. A diet rich in fruits, vegetables and low-fat whole grains can set you on the path towards lowering your cholesterol. There are two main types of cholesterol, low-density lipoprotein and high-density lipoprotein. LDL is routinely referred to as bad cholesterol because too much of it can build up in your arteries and veins and harden into plaques. This plaque inhibits the blood from effectively pumping to organs like the heart and brain. High levels of LDL raise the potential risk of coronary heart disease. You can lower your cholesterol levels through diet and lifestyle changes. A heart-healthy diet, regular exercise and avoiding tobacco are essential to keeping your cholesterol low. 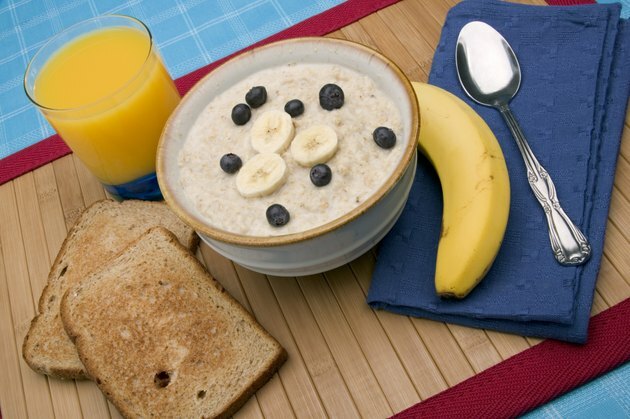 Foods that lower cholesterol are oatmeal, fish and omega-3 fatty acids, nuts, olive oil and foods with plant sterols. Foods that are high in soluble fiber help to reduce the level of bad cholesterol in your bloodstream. Oatmeal, oat bran, whole-wheat or multigrain products are all excellent sources of soluble fiber, and these can come from bread. Women should aim to eat at least 21 to 25g of fiber a day while men should aim to eat 30 to 38g a day. Fiber helps reduce the amount of cholesterol your body absorbs from foods. 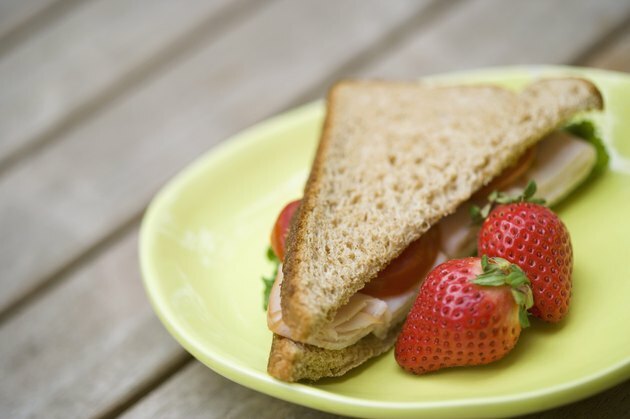 You can incorporate breads into your diet if you're fan of carbohydrates and you are trying to lower your cholesterol. Whole-wheat, multigrain and rye breads are good options for a heart healthy diet. According to a study published in the "Journal of Nutrition," eating rye bread can lower blood LDL levels in men with slightly elevated cholesterol. There are about 2g of fiber in a slice of rye, whole-wheat or multigrain bread. 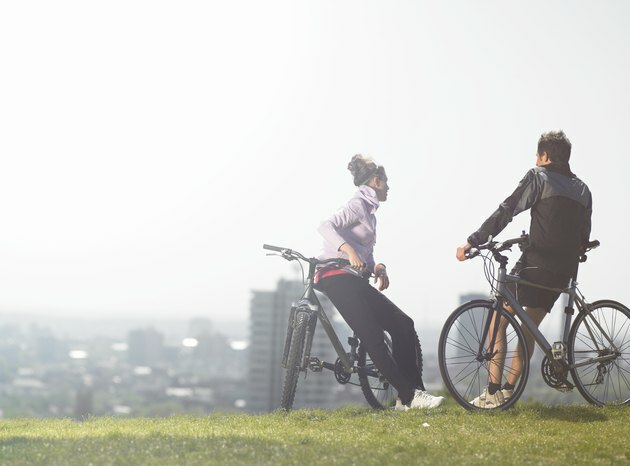 Exercise and a balanced diet rich in high-fiber foods, such as whole-wheat bread, are crucial when it comes to managing and maintaining your cholesterol. For some, medication may be required to get your cholesterol levels within a normal and healthy range. If you are trying to manage you cholesterol, consult your doctor to develop a plan that is right for you. 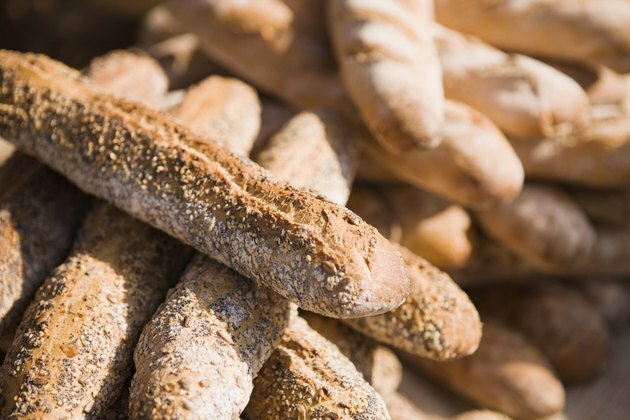 What Are the Benefits of Bread Products? 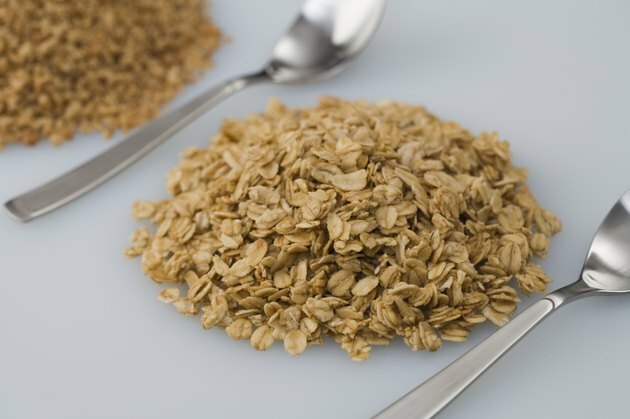 What Are Some Oat Bran Products?